Has it been awhile since you have been to the dentist? You may even be paying for dental coverage, yet something is holding you back from picking up the phone and making that appointment you know you need. Dental anxiety is a real thing and more common than you may think. Whether your fears stem from a traumatic childhood dental experience or a painful procedure in adulthood, our Albuquerque, NM can help you feel more comfortable during your appointment. Here, we discuss the sedation and general dentistry treatment options available to patients with dental anxiety. Dr. Byron Wall and Dr. Audra Martinez make it a priority to alleviate every fear, discomfort, and anxiety you may have experienced in the past. Therefore, we strive to create an environment that will change the way you feel about dentistry. Our friendly and caring staff is dedicated to improving smiles. During your appointment, you will never be rushed. We design our schedule based on your needs, allowing for plenty of time to address any fears or anxieties you may have. At Cosmetic Dentistry of New Mexico, we utilize the latest state-of-the-art techniques for your comfort. Putting off important dental care due to fear and anxiety can now be a thing of the past. We implemented these techniques and practices into our office because we value you and your oral health. What if we told you Drs. Wall and Martinez could provide excellent dental treatment without a drill? Air abrasion technology allows us to use pressurized air to remove the plaque and tartar that leads to tooth decay and gum disease. Cosmetic Dentistry of New Mexico uses the CEREC System to take digital impressions of your teeth without the use of goop and dental tray molds that may cause you to gag. This highly effective and efficient system uses full-color digital video to create your digital models in just minutes. This process is faster than the traditional methods and provides a much cleaner and enjoyable experience for our patients. Nitrous Oxide - This is a common and mild sedation method, commonly known as laughing gas. It is administered via inhalation using a mask. The side effects are mild and usually wear off quickly. 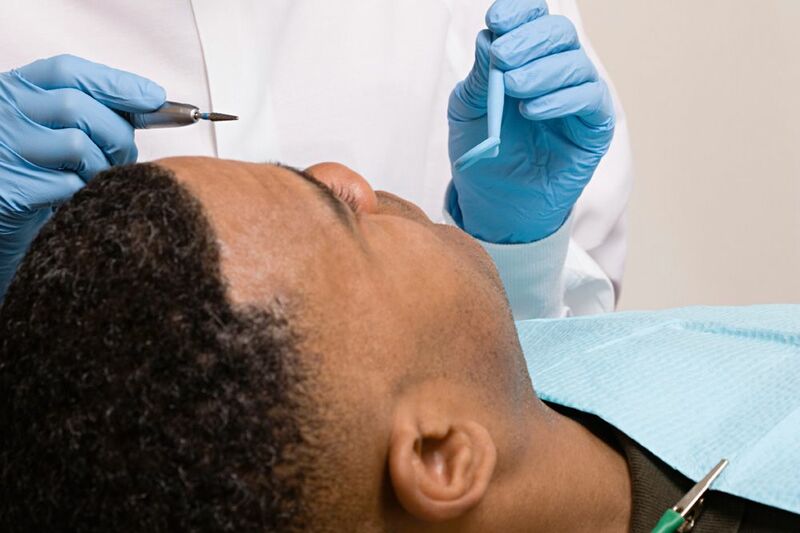 Oral Sedation - This type of sedation is administered in pill or liquid form, and is typically taken before your appointment, and again before the procedure begins. While oral sedation is stronger than nitrous oxide, you will still remain awake and responsive. However, someone will need to drive you to and from your appointment. Intravenous (IV) Sedation - With IV sedation, you will feel as though you are asleep but will still remain responsive. For your safety, Drs. Wall and Martinez work closely with a trained anesthesiologist who will continually monitor your vital signs throughout your procedure. You will also need to have someone provide you with a ride to and from our office. Contact Cosmetic Dentistry of New Mexico today at 505-883-4488 and share your concerns with our team. Together, we will work out a plan with your specific needs in mind.